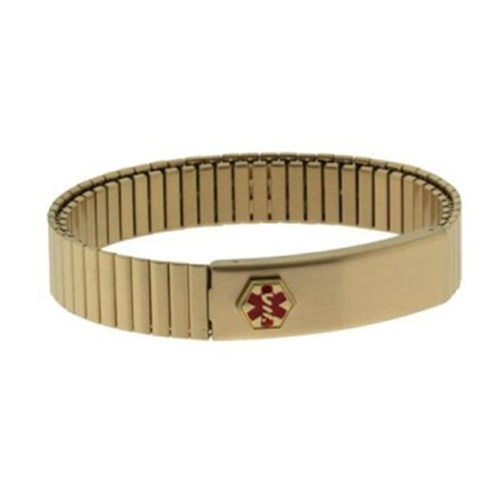 Stainless steel, ion gold plated, hypo-allergenic, 7 to 9 inches (17.78 to 22.86 cm) expansion band medical ID bracelet. Bracelet width is approximately 1/2 of an inch. No clasp means it's easy to put on and take off. 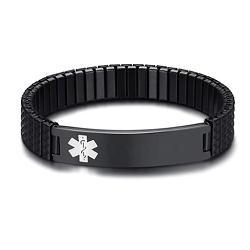 Practical identification bracelet design with medical symbol prominently displayed. Medical alert wallet card included. 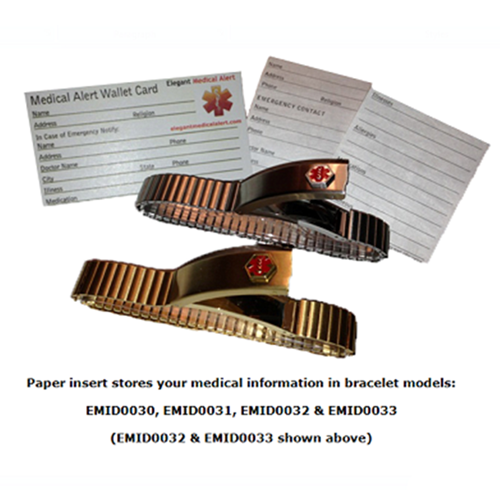 The bracelet also comes with a small paper insert so you may store your medical information in the bracelet's compartment that opens up. May be engraved on front and/or back. Very nice item, would certainly recommend! This is just what I was looking for. A friend liked the one I had so much, I ordered one for them. Great looking at a great price. Will buy again. I bought this for my husband who has put off getting any ID before, but when he saw the choices now available he was ready. 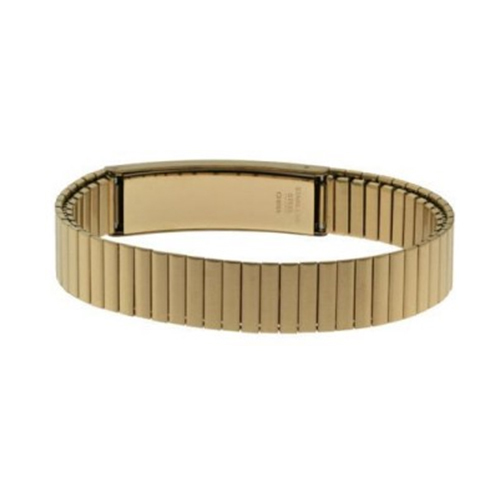 It fits him perfectly and looks like jewelry, and matches the satin gold of his wristwatch. As a nurse I feel so much more comfortable knowing he has this on him whenever he leaves the house. BACK ORDER: Estimated ship date is May 10th.